GOAL: What is one thing you want to accomplish over the next month? Pick something that is important to you, achievable with effort, and doable in the next two to four weeks. RESULT: What will happen if you achieve your goal? Picture accomplishing your goal. How will you feel? What will the results be? ACTION: What action within your control could block your goal? Identify any of your thoughts, feelings, or behaviors that could get in the way of your efforts to get your goal. 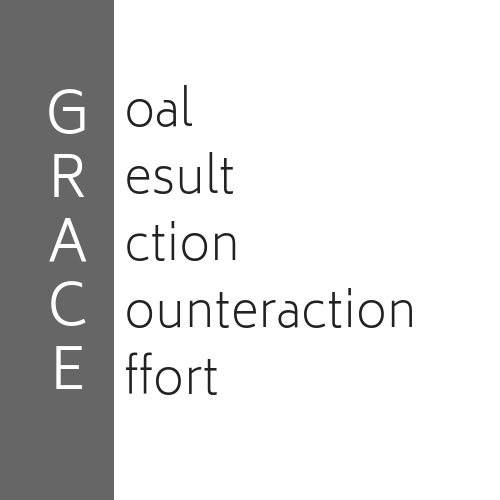 COUNTERACTION: What can you to to counteract any internal obstacles to completing your goal? EFFORT: What effort can you make now to get your goal? Interested going after your goals in 2019? Want good vibes going your way? Join me on a monthly call for support, accountability, and inspiration.